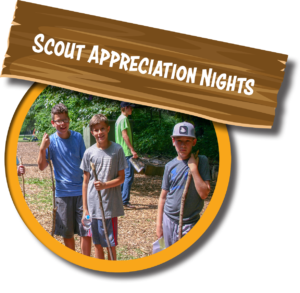 We love serving Boy Scout groups here at Treehouse World. We share a lot of the values that we want our kids to grow up with. Building confidence, understanding our place in the natural environment, and learning to face challenges alone and as a team. At Treehouse world, Scouts make progress toward scouting badges, host team building events, and have a great time while they're at it. 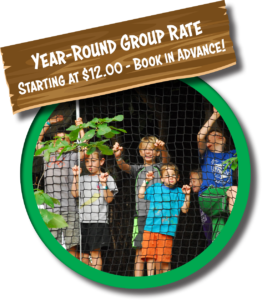 Price includes Warrior Woods, Treehouses, Trails, Tomahawk Throwing, Archery Target PLUS Buccaneer Zipline and Tree Climbing AND a Campfire! This experience is not open to the general public. Availability is limited. Booking is on a first come first serve basis. 1 free Chaperone (must be 18 years or older) per 6 Scout participants. Must register together as a group to get the free Chaperone entrance. The Chaperone fee will be credited back once checked-in at the event. The park is lighted to safely navigate paths and activities. We do suggest bringing flashlights and/or headlamps. You are more than welcome to pack your dinner and picnic here. Bring your own food to make s'mores. Season Pass/Memberships do not apply to the event price. Must pay in full at time of booking. Tickets are non-refundable. Establishment reserves the right to cancel the event if attendance is low or for inclement weather. If the establishment cancels, a full refund will be issued. Want to plan an exciting adventure for your Troop? Book your Troop outing today. Pricing starts at $12.00 per participant. 1 free chaperone (must be 18 years or older) per 6 participants. A 50% deposit is required to book your date of choice. Want to plan an exciting adventure and earn a badge. 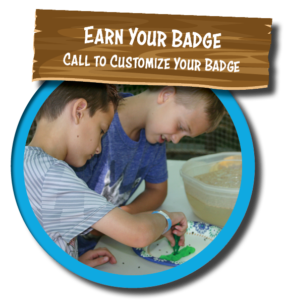 Treehouse World is happy to customize your experience to earn a badge. For our Scouting groups, we offer a special patch so that your scouts can add to their collections! 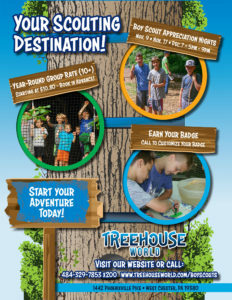 Our patches are a keepsake reminding Scouts of their adventure at Treehouse World. $2 each + tax when purchased with group reservation. $3 each + tax when purchased at check-in.